You have the perfect remedy for boredom. Just grab some paper and a pencil so you can pass the time with the simple pleasure of games like tic-tac toe! Who needs the side effects of overstimulation from video games? You can create your own fun with nothing but a notebook and a ballpoint pen! 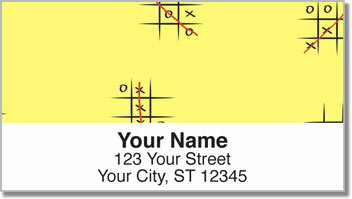 Paper Games Address Labels are an amusing style featuring classic brain teasers like crosswords and mazes. 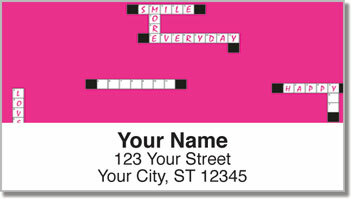 Stick them on your outgoing mail to add a little extra personality! 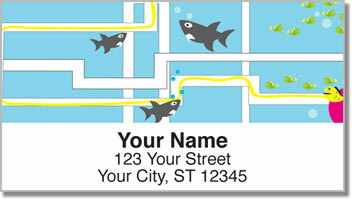 Plus, these self-adhesive address labels make it easy to prepare letters and packages. Just peel and place instead of filling out envelopes by hand. 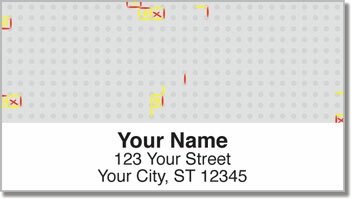 Get your own Paper Games Address Labels now! Order them with the matching personal check design!